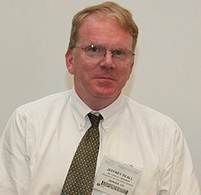 Actually, this pseudo-scholar Jeffrey Beall is a thug. He uses black lists to create profit. Also he is involved in tax evation and money laundry. There is not any real reason to have our institute IARIA in his pseudo-list. Exactly "re-analyze" was the verb that he used in our phone conversation. Why re-analyze? Who is he that analyzes or re-analyzes Academic organizations? What are his qualifications. I am professor in Electrical Engineering with many publications (in IARIA and outside IARIA). Who is this pseudo-professor - money hungry thug? Anyway, Jeffrey Beall gave us two accounts in Tax Heaven Countries: One account in a Bank of St. Vincent and another account in Belize. We do not pay 100,000 USD for IARIA and so IARIA is still now in his list. Somebody must report Jeffrey Beall' activities in American Authorities.